Huddersfield's first home goal since April 14 was enough to give them their first win since the same day, and came from a stroke of good fortune when Fosu-Mensah diverted Christopher Schindler's header from a Chris Lowe cross beyond Sergio Rico. Fulham managed only a solitary shot on target throughout the whole 90 minutes at the John Smith's Stadium to further crank up the pressure on manager Slavisa Jokanovic, whose £100m summer spending has returned only five points from 11 games. Huddersfield, meanwhile, celebrated David Wagner's third anniversary in charge by moving above Fulham in the table with victory, and remain inside the relegation zone only on goal difference behind 17th-placed Newcastle. Philip Billing turned the heat up on a frosty opening in West Yorkshire by smashing the ball against the crossbar from 25 yards with 15 minutes gone as Huddersfield dominated early proceedings against a nervous Fulham, without puncturing their defence. 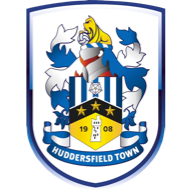 Huddersfield: Lossl (7), Jorgensen (6), Schindler (7), Kongolo (6), Hadergjonaj (6), Mooy (6), Hogg (7), Billing (7), Lowe (7), Pritchard (6), Mounie (6). Subs: Depoitre (5), Mbenza (n/a), Bacuna (n/a). 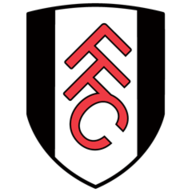 Fulham: Rico (6), Fosu-Mensah (5), Odoi (6), Le Marchand (5), Sessegnon (6), Seri (6), Zambo (5), Cairney (5), Vietto (5), Mitrovic (5), Schurrle (5). Subs: Christie (6), McDonald (5), Johnsnen (6). And with the hosts still very much on the front foot, Alex Pritchard tested Rico before the half-hour mark when his deflected drive was palmed away for a corner. Moments later, tension turned to joy when Schindler's header from Lowe's cross deflected off Fosu-Mensah into the far corner for the hosts' first home goal in 659 minutes. Florent Hadergjonaj had a strong shout for a penalty shortly before the break when he appeared to have his legs taken away by Ryan Sessegnon, but referee Anthony Taylor denied the Terriers a chance to double their goal tally from 12 yards. David Wagner made three changes from Huddersfield's 3-0 defeat at Watford last weekend, with Erik Durm, Isaac Mbenza and Laurent Depoitre dropping out and Terrance Kongolo, Steve Mounie and Florent Hadergjonaj coming in. Fulham's only new face was Maxime Le Marchand, who replaced Tim Ream in defence. Fulham introduced Cyrus Christie and Kevin McDonald at half-time, and the changes did liven up proceedings, but beyond forcing a number of corners in the first quarter of an hour of the second period, the visitors made few inroads on their hosts. At the other end Aaron Mooy fired over from Steve Mounie's flick-on and Pritchard did likewise from a half-cleared corner, while in a rare attack Fulham had the ball in the back of the Huddersfield net from a crisp Andre Schurrle volley, but Aleksander Mitrovic was ruled offside in the build-up. And in the end, the hosts did not need to add to their one-goal lead as they hung on for their first win of the season, and condemned Fulham to the bottom of the Premier League table. Terriers are the last side in the top four tiers of English football to register a league victory this season. Fulham have conceded 29 goals after the first 11 games of this Premier League campaign; no side has ever shipped more at this stage in the competition (also Southampton in 12/13). Fulham's haul of five points from their opening 11 games this season is their worst-ever tally at this season of a top-flight campaign. Fulham defender Timothy Fosu-Mensah's own goal ended a run of 658 minutes without a home Premier League goal for Huddersfield, since Tom Ince scored against Watford in April. Since the start of last season, only Manchester City, Tottenham and Leicester (five each) have benefited from more opposition own-goals in the Premier League than Huddersfield (four). Hogg was, well, a terrier in midfield for Huddersfield, making more tackles (seven) than anyone else on the pitch, and winning back possession for the hosts 13 times. He also managed a shot on target and was involved with the most duels out of any Huddersfield player (17). David Wagner: "It's huge for us. We have now the winning feeling back, and a clean sheet as well. For sure, it is one of the most important wins we have had in the last three years, because after 10 games without a win and some unlucky situations, everyone needed to get the belief back and we have done that today. "We are back in the race after 11 games of the season. If you look at the fixtures we have had, they have not been the easiest, and if you look at the ahead of us there are teams around our position coming up, and they will be open games. We were the team who really wanted to win today, and I'm delighted for the players." Slavisa Jokanovic: "We didn't deserve much today. In the first 45 minutes we did not have intensity, and it did not give us enough space to move the ball. We were passing it without any sense. We put another midfielder in for the second half, but still missed the quality. 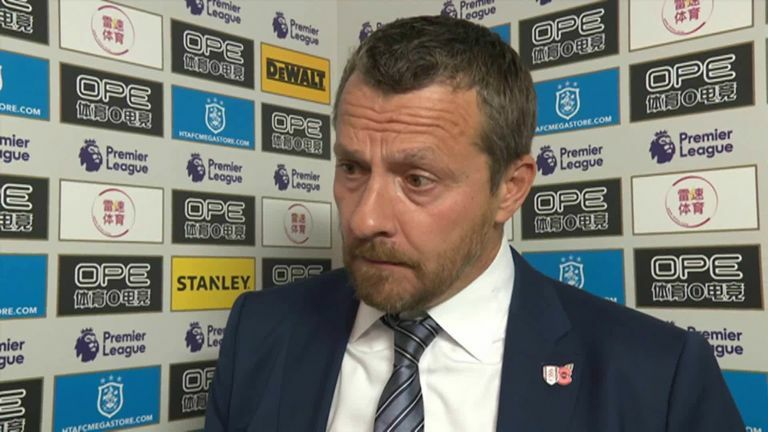 Slavisa Jokanovic said his Fulham side weren't good enough in their Premier League defeat to Huddersfield. Huddersfield host West Ham at the John Smith's Stadium on Saturday at 3pm, while Fulham have an unenviable task of travelling to Anfield to face Liverpool in the early kick-off on Sunday at 12pm.